Welcome back to the third installment of my What I Eat In A Day series, where I chronicle literally everything I eat on a particular day. I know it sounds weird, but I honestly love reading posts and watching videos like this to give me 'food-spiration' and ideas for my own meals. As you may remember from my last two WIEIAD posts, I have turned to a Vegan, Plant-Based diet and couldn't be loving it more. Today's WIEIAD is another Collaboration as a part of my #CollabmasInJuly series here on the blog with the gorgeous Thara! This What I Eat In A Day includes ice cream for breakfast, yummy snacks and the most delicious homemade pizza that I have possibly ever made and eaten. 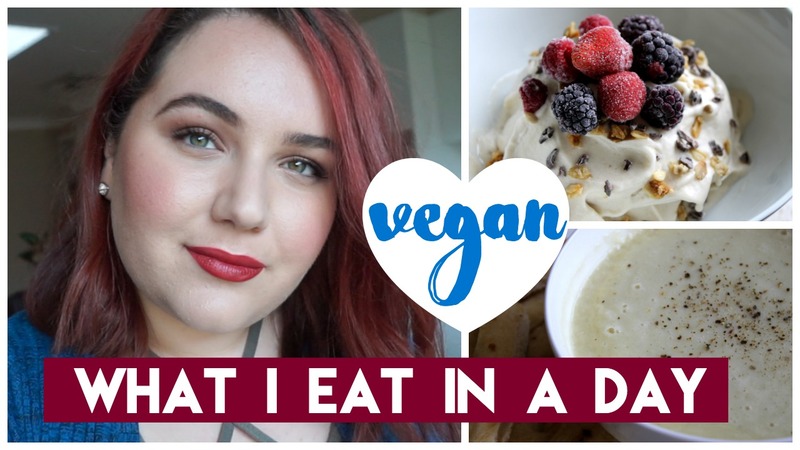 This post is another collaboration from my #CollabmasInJuly series with the the gorgeous Thara from Thara V, please go on over to her channel and check our her Vegan What I Ate In A Day too. This looks so delicious, never knew vegan food could look this good! I am not a vegan, but I´d eat all of this in an instant. I really want to try becoming a vegan. Have you been for a long time yourself? I went vegan about 7 months ago- one of the best decisions I've ever made! Wow Anjelique have been vegan for 7 months? I would love to hear what differences you have seen in your health, skin, hair etc as I am thinking a lot lately of going vegetarian. If you have any post/video about it, please send me the link! I think I will definitely be doing a blog post on it very soon Stella, there are so many benefits I have seen myself that I want to share! It started out mostly for health reasons but I've educated myself about the whole vegan philosophy and ethics and I personally love it! I think I will be doing an in depth post soon!